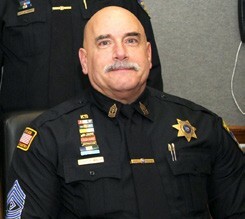 Paul Boscia A career member of the Putnam Sheriff’s Department – who retired only three weeks ago – will soon be back on the job but this time as Undersheriff. In a surprise announcement Saturday evening at First Sgt. Paul Bocia&rsq… Please login below or purchase a subscription to the Putnam County Courier to access this content. 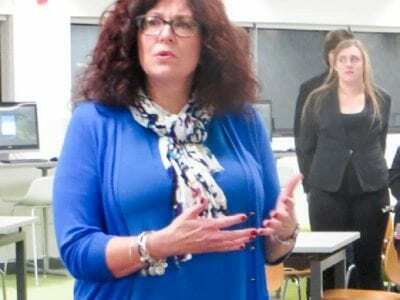 BHS Principal Nikki Horler thanks the community for supporting Brewster students at last week’s ribbon cutting ceremony. In December 2014, residents of the Brewster School District overwhelmingly approved a $38.9 million referendum that called … Please login below or purchase a subscription to the Putnam County Courier to access this content. 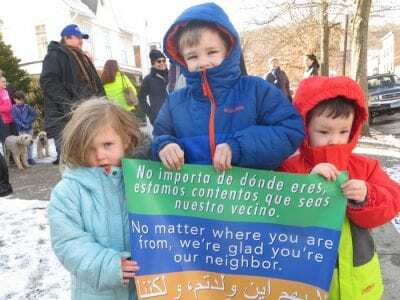 Three toddlers carry a sign through the village of Brewster calling for neighborliness during the King Candlelight Prayer Walk for Immigration Awareness in Brwester on Monday. 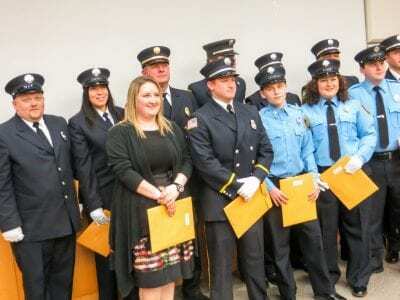 The children include Hannah Vitner, 3 and her six year old brother, Rowan … Please login below or purchase a subscription to the Putnam County Courier to access this content. The Courier Now Out on New Day! Beginning this week, the Courier will be available on newsstands on Tuesdays throughout eastern Putnam. The shift is part of our effort to provide readers with fresher news, faster, and to likewise give greater value to advertisers by seeing that th… Please login below or purchase a subscription to the Putnam County Courier to access this content. A group of Carmel High School students enjoy their creativity. The young women include: Rachel Vetterman, Madison Riddle, Meredith Jennings, Sarah Stec, Molly Ross and Amanda Thut. Thousands of pinwheels will be on display throughout Putnam County th… Please login below or purchase a subscription to the Putnam County Courier to access this content. Sasha Ono accompanies her students on the cello during a rehearsal last week. 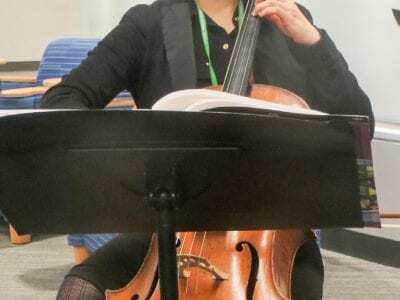 Sasha Ono, an orchestra teacher in the Brewster School District, is being featured on the album “Renew” which has received a Grammy ballot for the 2017 Grammy A… Please login below or purchase a subscription to the Putnam County Courier to access this content. 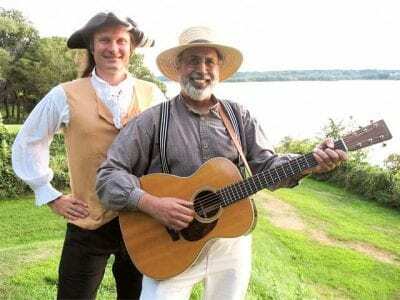 Jonathan Kruk and Rich Bala will perform at the Mahopac Public Library on February 12. Mahopac Public Library’s exciting BAMM (books, art, music in Mahopac) series returns on February 12 at 2 pm with a performance by Rich Bala and Jonathan Kruk… Please login below or purchase a subscription to the Putnam County Courier to access this content. The Carmel FD annual fundraising bowling tournament is still two months away but organizers have reminded the public to register early since according to one of the tourney’s coordinators “lanes always fill up fast.” Michael Dohert… Please login below or purchase a subscription to the Putnam County Courier to access this content. Acclaimed author Zadie Smith will deliver the annual Alex Krieger ’95 Memorial Lecture at Vassar College. The event, “An Evening with Zadie Smith” will feature Smith reading from recent works. She will also be interviewed by Vassa… Please login below or purchase a subscription to the Putnam County Courier to access this content.